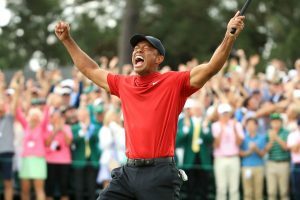 I have always felt that the golf swing is a chain reaction of events, and nowhere is that more evident than with the iron game. 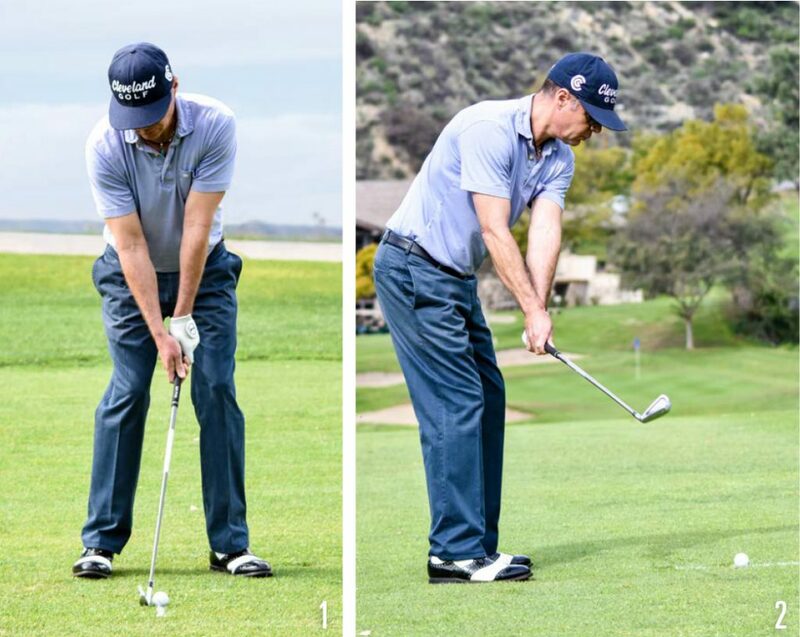 A good set up (Photo 1) leads to a proper takeaway, notice that my hands are well inside of the club head (Photo 2). From here all I need to do is keep turning to get to a solid position at the top of my backswing. 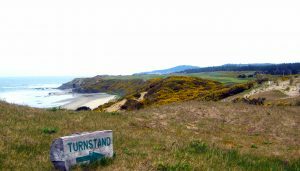 From here my downswing can now merely be a reflex motion as I shift my weight forward, free of compensations and over-thinking. All top players have one thing in common: they compress the ball. Try this simple drill. Paint a white line on the driving range (Photo 3). 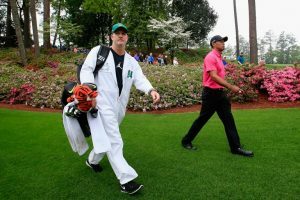 Place a ball on it and hit a 7 iron. 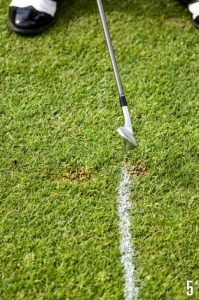 If your divot is in front of the line (Photo 4) you probably made solid contact. 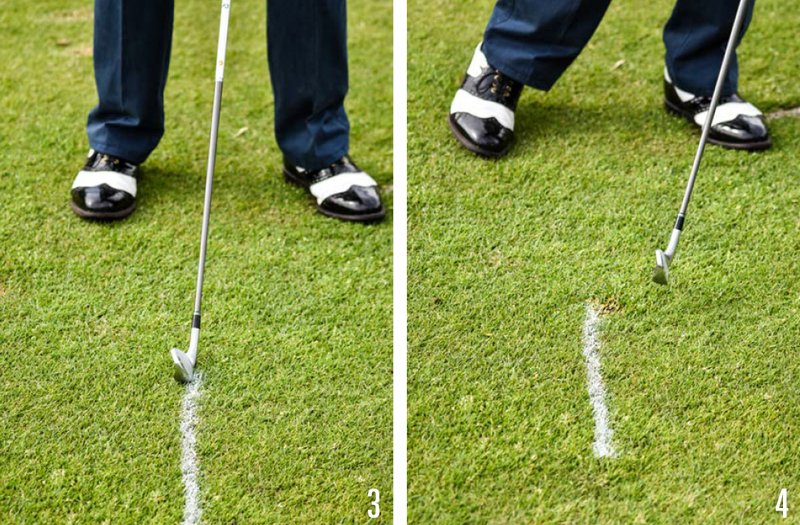 If the divot is behind the line you probably hit it thin or chunked it (Photo 5). 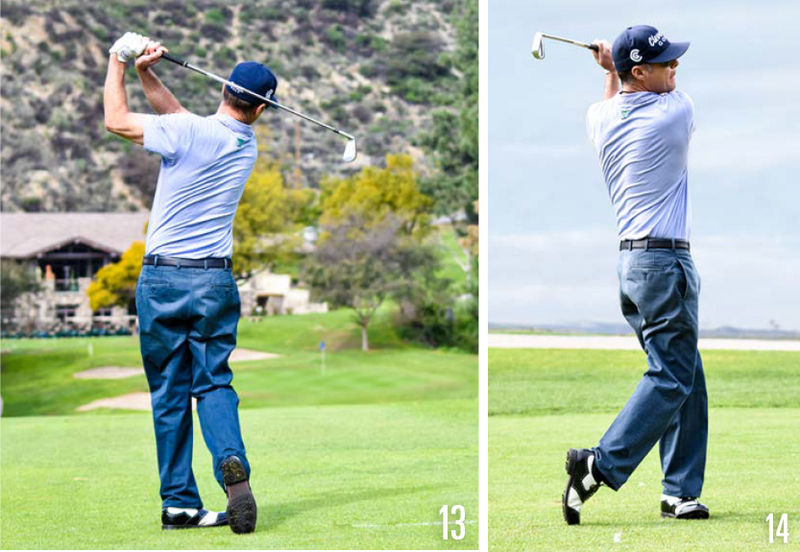 As you can see here, a one-piece takeaway leads to a wide swing arc (Photos 6 and 7). My lower half remain stable as I complete my backswing (Photo 8). As I initiate my downswing by clearing my hips my swing arc has narrowed and my wrists are still cocked (Photo 9). 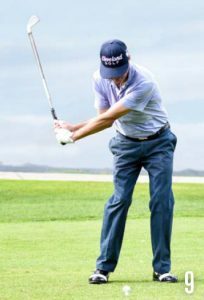 It’s very important to clear the hips first so getting into this position is possible — if the arms start first this angle is broken leading to poor impact (Photo 10). As my downswing continues and the club is coming from inside the target line, notice that my right elbow is close to my right hip (Photo 11). From here I can make solid contact and freely release my arms (Photo 12) as I continue into a balanced finish (Photos 13-14). All my weight is on my front leg and my body is facing my target. 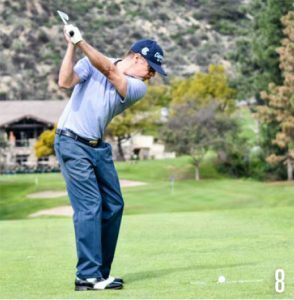 Bobby Hinds, PGA, teaches at several Southern California locations, including his fully outfitted indoor facility in Burbank. Get more of his great lessons and tips here.